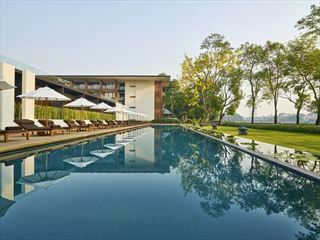 Surrounded by verdant tropical hillsides and distant misty mountains, Panviman Spa Resort presents the ideal location to rest and relax just a few moments from Thailand's second city, Chiang Mai. 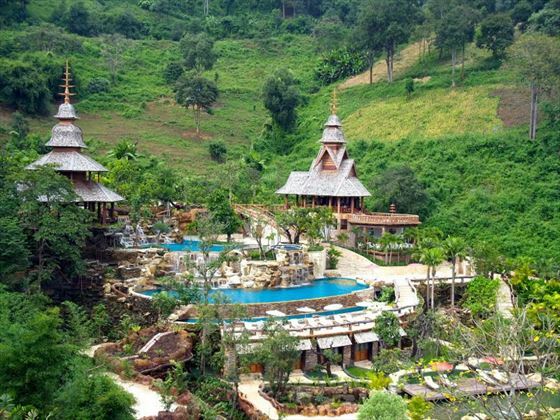 This is a must for any couples hoping to make the most of the peace and tranquillity associated with the jungles of northern Thailand with sublime spa, swimming and recreational facilities adding to the allure of the stunning unbroken views. 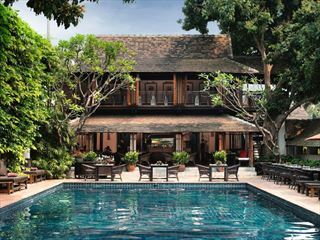 Thanks to a daily shuttle bus, the cultural sights of Chiang Mai are just under an hour's drive away however, with Panviman's splendid restaurant and in-room dining options you may be more than happy just staying put. 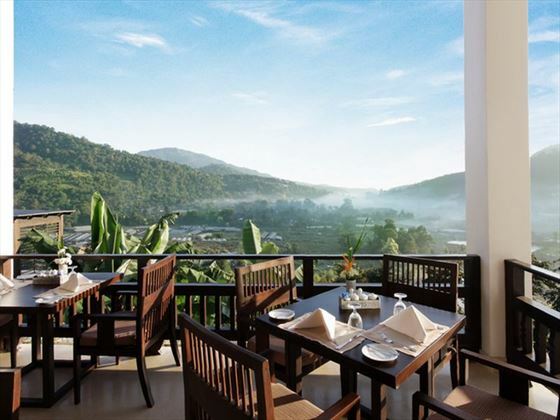 Situated within the green mountain slopes to the northwest of Chiang Mai, around a 45 minute daily shuttle bus from the night bazaars, restaurants and cafés of the city centre. 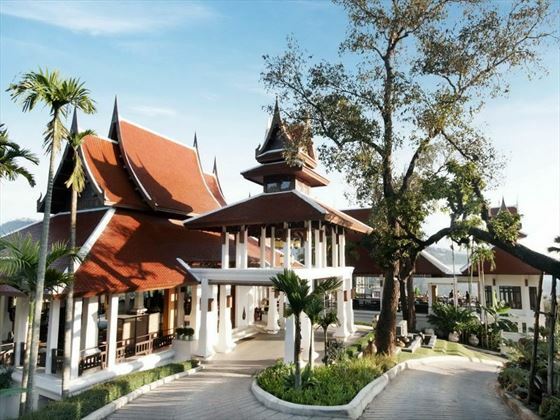 Chiang Mai International Airport is a 45 minute drive from resort. 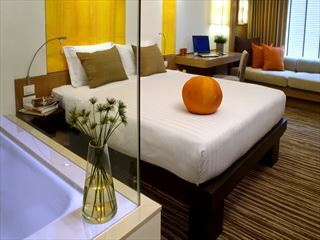 Valley Deluxe Rooms – one king-size bed or two twin beds, bathroom with separate bathtub and shower in addition to a private balcony with scenic views. Mountain Deluxe Rooms – larger than Valley Deluxe Rooms with one king-size bed, wrap round windows, lounge space and glorious mountain views from the private balcony. High Mountain Deluxe Rooms – larger than accommodation mentioned above with choice of one king-size bed or two twin beds, lounge area and superior mountain views. 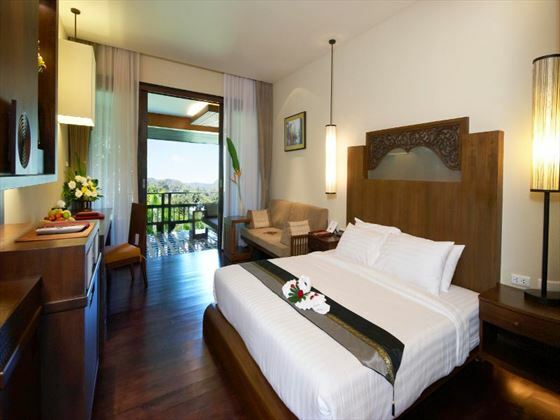 Steam Villas – larger than High Mountain Deluxe Rooms with twin beds, private steam room and spacious living and dining areas. Jacuzzi Villas – larger than Steam Villas with one king-size bed, private outdoor Jacuzzi and plenty of living and dining space both inside and out. 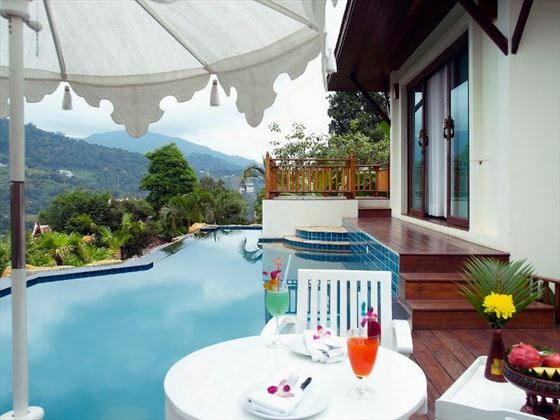 Viman Pool Villas – the largest guest property in resort featuring one king-size bed and private balcony with pool as well as ample indoor and outdoor living and dining space. Panorama Restaurant – healthy and nutritious lunch and evening meal options as well as drinks and tropical cocktails served overlooking the resort pool and stunning surrounding area. 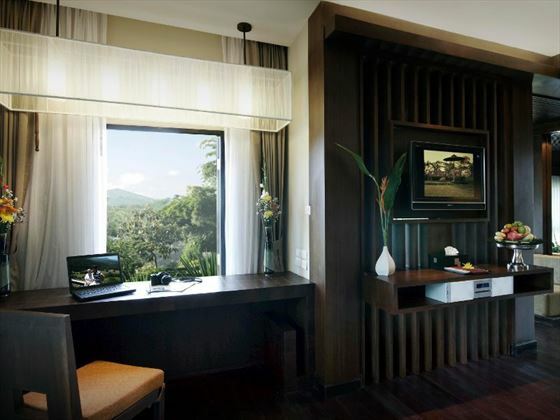 In-room dining – Thai and international a la carte options served within the comfort of your guest room or villa from eight in the morning until ten at night. Panviman Spa – spacious and tranquil spa area offering the very best in traditional Thai and signature massages, rituals and well being packages.